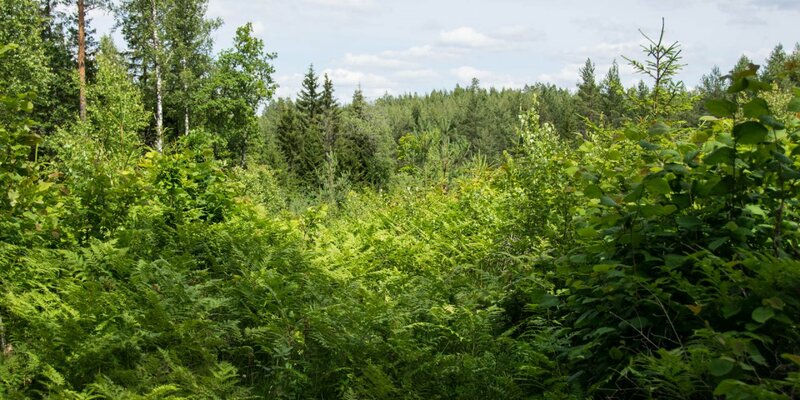 The nature reserve Björnnäsets Naturreservat is located about twelve kilometres southwest of Hultsfred and preserves a beautiful piece of untouched old forest between Hultsfred, Målilla and Järnforsen. 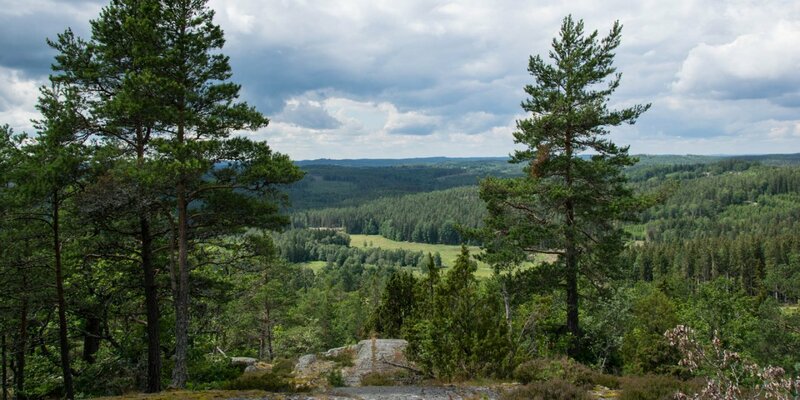 The forest in Björnnäsets Naturreservat is around 150 years old and the rocks are densely overgrown with mosses and lichens, with ancient pines rising up into the sky between them, giving the forest a fairytale atmosphere. 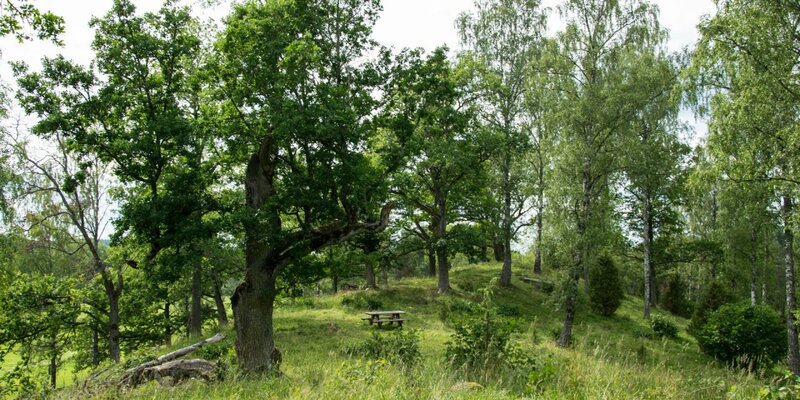 The soil in the nature reserve is relatively meagre and the trees grow only slowly and not very densely, so that sunlight often reaches the ground. The good light conditions contribute to the fact that blueberry bushes grow everywhere, which not only cover the forest floor but also grow on the rocks. Larger rocky areas exposed to sunlight are covered with reindeer lichens over and over and in the shady areas ferns grow from the moss pads and crevices. Trees that have fallen down remain lying as they have fallen and form the basis of life for a large number of plants and insects that slowly but surely decompose the dead wood. Furthermore, there is a small population of western capercaillie (Tetrao urogallus) in the nature reserve, which usually only settle where they find a healthy and untouched forest. The presence of the largest European chicken bird is at the same time a reliable indicator that other animal and plant species with similarly high demands on their territory are also present there. In Björnnäsets Naturreservat you can also find black grouse (Lyrurus tetrix) and most species of native woodpeckers. Among them is also the black woodpecker (Dryocopus martius) as the largest native woodpecker species, which feeds mainly on the large hercules ants (Camponotus herculeanus) in the nature reserve. There are two narrow circular paths through the nature reserve. 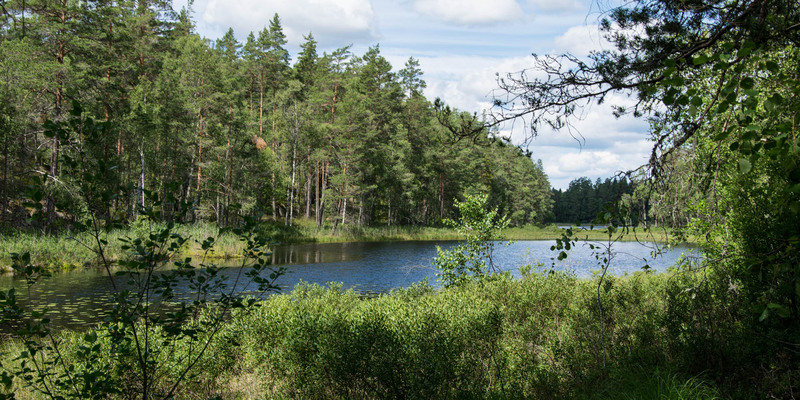 The longer of the two is 3.5 kilometres long and leads from the southern lake Stora Hammarsjö to Åkebosjön at the northern end of the reserve and back. The second route leads as a two kilometre round through the south-eastern part of the reserve.